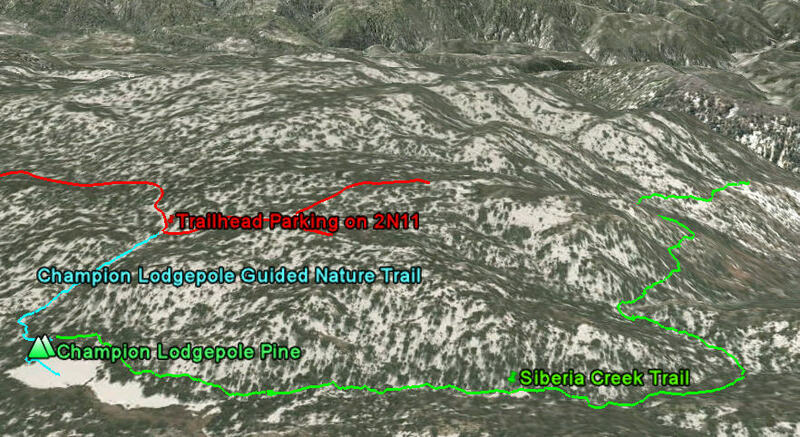 Siberia Creek Trail "Gunsight" - Big Bear Mountain Biking Trail Guide Maps GPS - Hiking Trails too! This is some bonus singletrack from the Champion Lodgepole Pine meadow. Look around to the SE of the C. Lodgepole and you will see a trailhead sign. Its out and back and most people turn around when it gets steep and treacherous. You will have a great view of Snow Valley and the Arctic Circle from the end. The GPS track below in Everytrail shows the return trip only. Its almost 600 feet of descent, then turn around and climb back up.